Jake and I visited the de Young Museum in San Francisco’s Golden Gate Park to see the special exhibit on fashion designer Jean Paul Gaultier. 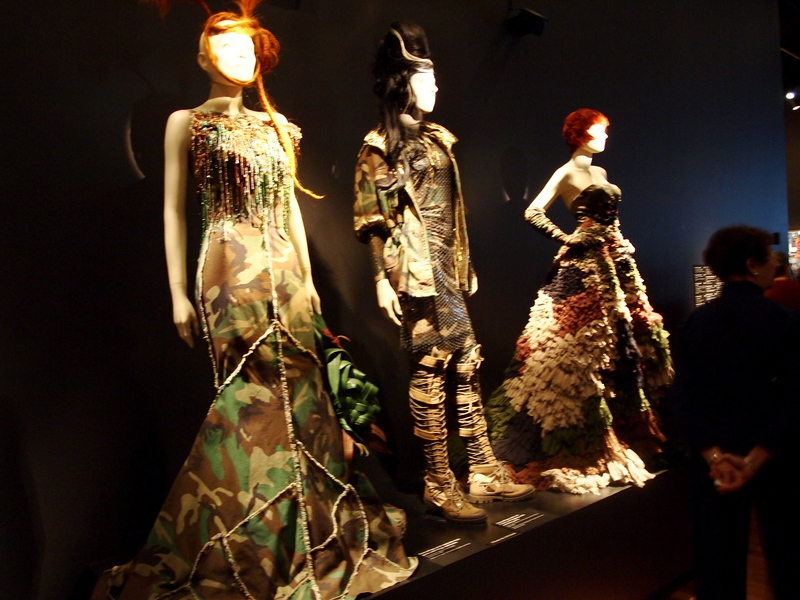 The exhibit, “The Fashion World of Jean Paul Gaultier: from the Sidewalk to the Catwalk,” is currently running at the de Young until August 19, 2012. The exhibit features designs from the 1970s through the 2010. To give you an idea of Gaultier’s approach, this is the first thing you see when you walk toward the entrance to the exhibit. Madonna, Lady Gaga and other celebrities have worn his designs while on tour. His designs are provocative, highly sexual in nature, and reflect the multi-cultural and transgender world of Paris in the 1970s, when Gaultier began as a designer. I realized part way through the exhibit that I wasn’t taking pictures. Why? 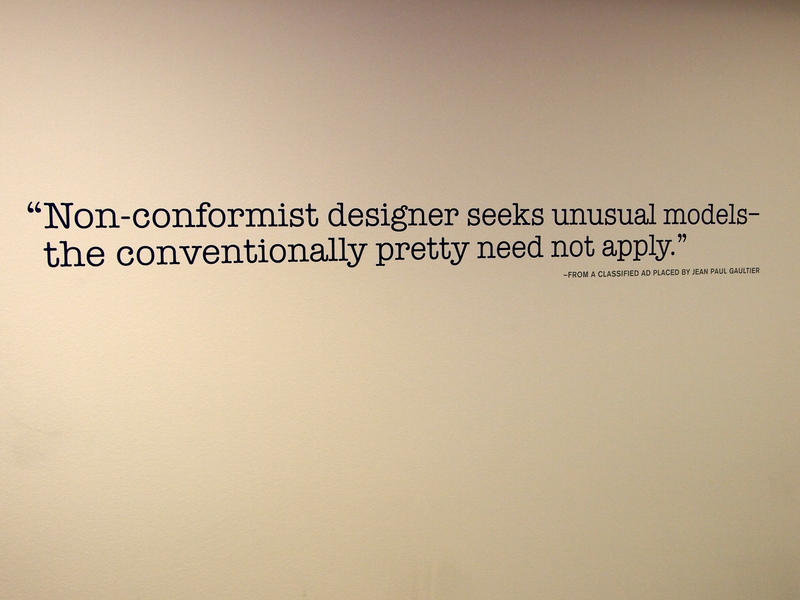 Because I was completely entranced with all the crazy designs! 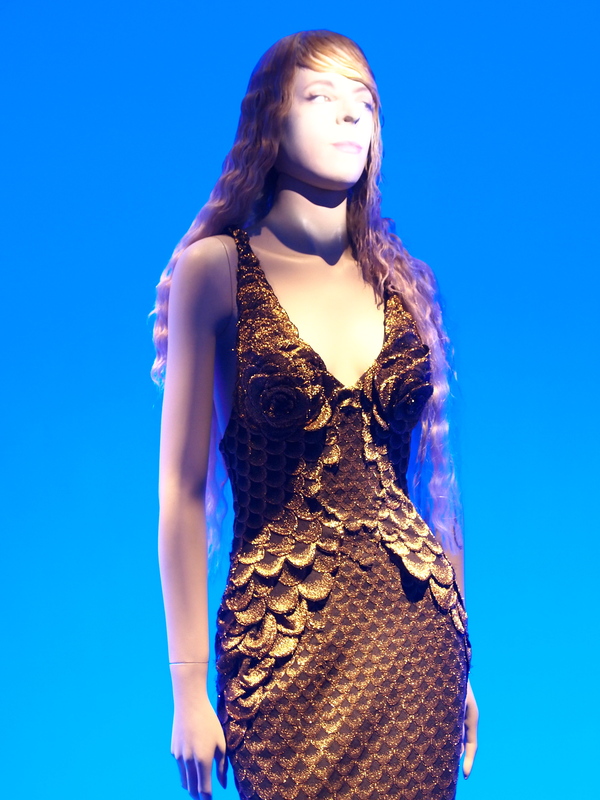 Gaultier’s work does have that shock factor, but I also admire his ability to communicate through design. 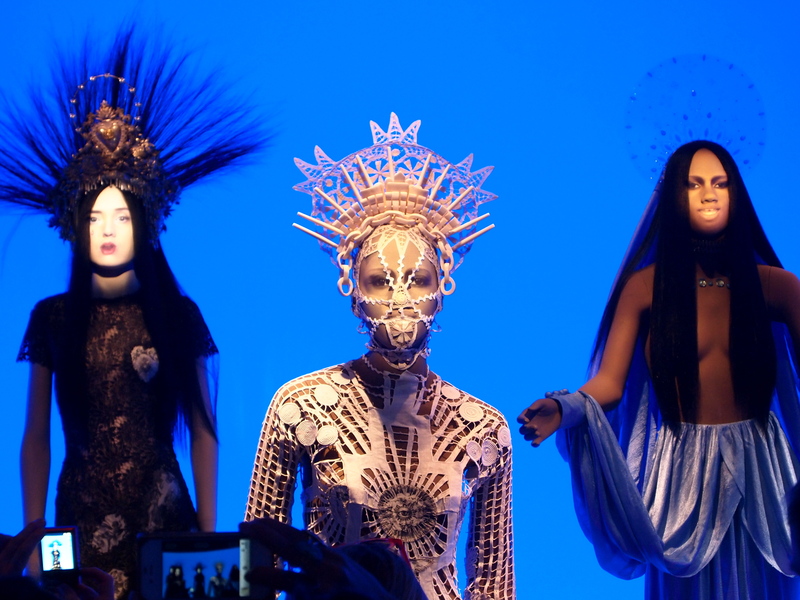 The mannequins at the exhibit’s entrance are facing you when you walk in, but then you see eyes and faces staring at you, and moving! Are they real models? No, they are projections, but it is almost impossible to tell unless you look at them from the side. The exhibit was incredible. I highly recommend visiting the de Young, both for the Jean Paul Gaultier exhibit and for the permanent exhibits in the museum. It is a modern structure, which is very different from the Legion of Honor we visited earlier in the day, but the setting is just as beautiful, and the artwork incredible. Once again, thank you Auntie and Tio for such an incredible day! To see more about the exhibit, please visit the de Young website here. This entry was posted in Art and tagged Art, de Young Museum, fashion, Golden Gate Park, high fashion, Jean Paul Gaultier, non-conformist designer, Paris fashion, Photography, San Francisco, San Francisco museums, travel. Bookmark the permalink. Wow! This is not my mother’s wardrobe. And as much fun as it is to look at these designs, I’m glad I don’t have to wear them.